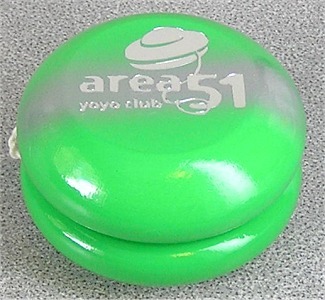 The Area 51 Yo-Yo Club released many custom BC and Tom Kuhn yo-yo to their members. Not only as advertising for the club, but membership entitled you to purchase their special releases. Pictured here is a standard shaped wooden BC with Area 51 logos front and back.